The TP53 is a gene that instructs the cell to produce tumor protein (p53) ; a vital transcription factor and tumor suppressor. P53 is known as the “guardian of the genome” as it helps in regulating the cell cycle and acts as a tumor suppressor. Cancer is a multidisciplinary disease, with different mutations leading to different prognoses and treatment necessities. Among the most important mutation targets in cancers, affecting more than 50% of all cancer cases, is TP53. Melbourne scientists have discovered how tumor development is driven by mutations in the most important gene in preventing cancer, p53. Researchers have discovered a novel consequence of loss of the tumor protein p53 that promotes cancer development, according to new findings in eLife. Today, scientists have explained for the first time why not all UV-induced, P53 mutated skin cells develop into cancer. It doesn't often happen that army generals switch sides in the middle of a war, but when cancer's attack is underway, it may even cause a gene that acts as the body's master defender to change allegiance. In a new study in mice, researchers have identified a key protein involved in the irregular brain cell activity seen in autism spectrum disorders and epilepsy. 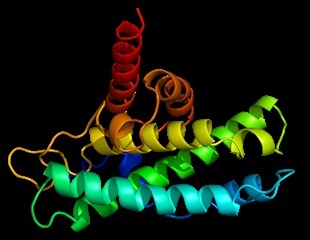 The protein, p53, is well-known in cancer biology as a tumor suppressor. Researchers have discovered a cellular pathway that selectively regulates a mutant protein linked to the growth of ovarian cancer. Each day, normal human cell tissues express a protein known as p53 that wages war against potential malignancies. However, between 30 and 40 percent of human breast cancers express a defective (mutant) form of p53 that helps cancer cells proliferate and grow. A natural extract from daffodils may help in treatment of cancer find researchers at the Faculty of Sciences at the ULB led by Denis Lafontaine. The team published their research titled, “The Amaryllidaceae Alkaloid Haemanthamine Binds the Eukaryotic Ribosome to Repress Cancer Cell Growth” in the journal Structure that appeared in their latest issue this week. Achievement in the field of cancer research: Biologists and chemists at the University of Konstanz decipher a molecular mechanism of the cell with relevance for the development of cancer and the fight against that disease. Surgery and radiation remove, kill, or damage cancer cells in a certain area. But chemotherapy -- which uses medicines or drugs to treat cancer -- can work throughout the whole body, killing cancer cells that have spread far from the original tumor. Results from a new study show that after an acetaminophen overdose the p53 protein plays a key role in preventing the progression of liver damage and signaling the liver to repair itself. All causes of the most common form of liver cancer, hepatocellular carcinoma, are not yet known, but the risk of getting it is increased by hepatitis B or C, cirrhosis, obesity, diabetes, a buildup of iron in the liver, or a family of toxins called aflatoxins produced by fungi on some types of food. Scientists at The Wistar Institute in collaboration with Roswell Park Cancer Institute found a significant association between a rare genetic variant of the p53 gene present in African American women and their risk of developing breast cancer in premenopausal age. The study was published online by the journal NPJ Breast Cancer. A five-year, $1.8 million grant (R01CA203965) from the National Cancer Institute awarded to Rutgers Cancer Institute of New Jersey resident research member Wenwei Hu, PhD, will support research to further elucidate the mechanisms behind the most frequently mutated gene in human tumors - p53. Before a malignant tumor is developed, the immune system tries to fight against proteins that are altered during their formation, producing certain cancer antibodies.